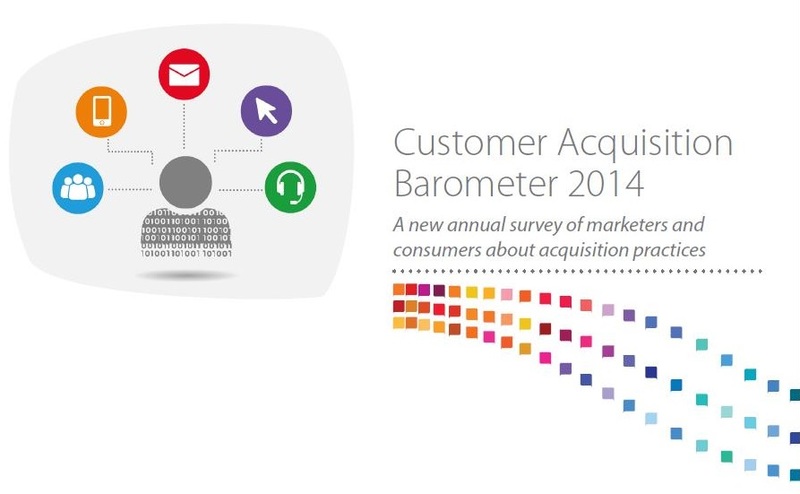 Following the launch event for the DMA’s 2014 Customer Acquisition Barometer, we’ve had a chance to dig through the excellent report to pull out some key takeaways. The full document is well worth a read for anyone in the B2C marketing space though, and you can find the PDF on the DMA website here. The event itself was very well attended with a good cross section of the sector including lead generation experts and practitioners, brands, agencies and technology companies, all of whom welcomed the findings of the research. The Q&A panel was particularly strong with people such as Michelle de Souza from the charity Age UK giving their thoughts on customer acquisition in this increasingly digital age. The event also included a quick survey, which was a fascinating insight into just how many assumptions we all (yes, even the experts!) make about lead generation. 2014 is going to see an increasing focus on ramping up quantity of leads to fuel acquisition as businesses re-emerge from their recessionary slumber according to the report. Retention is also going to rise back up the ranks, with the experts quizzed for the research suggesting a dual-focused ‘acqui-tention’ approach was required to fit the current marketing objectives of consumer brands. We think that these are both timely and sensible developments, but as ever we would caution clients to not lose sight of the importance of lead quality for conversion optimisation. One of the biggest areas of interest in the report, for us at least, is the notion that brand and direct connections really matter, whether though engaging via the brand’s website or providing information via email. This signals the need for strongly branded campaigns and carefully siloed data. Some lead providers focus on catch-all generic lead generation for say mortgage providers that then sell these leads on to numerous companies, meaning the consumer can understandably at times feel a lack of trust in the information gathering and sharing process. Sending a prospect through to a brand’s site, at the right time in the lead generation process, can be pivotal to success. In addition to the initial generation of a lead, Lead Intelligence for example can also nurture that prospect further down the funnel to not only drive traffic, but also signed up and logged-in new users as part of our work. Anything that involves the provision of data is now much more likely to come under consumer scrutiny and be in danger of mistrust. Having clear privacy policies and opt-out routes may seem obvious to marketers, but because so many consumers feel the lack of these standards would have a marked impact on their likelihood to provide data, more could perhaps be done here. 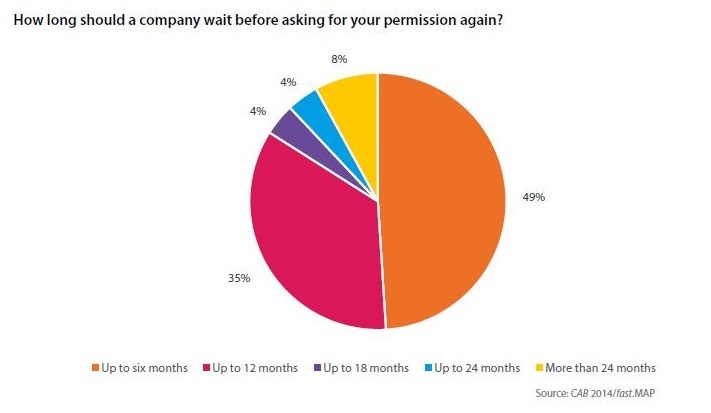 As an aside, a rather high 48% of consumers surveyed felt they had not shared any information in the last 6 months, which makes us wonder whether the consequences of actions such as ‘liking’ a brand’s Facebook page are fully understood by those surveyed. 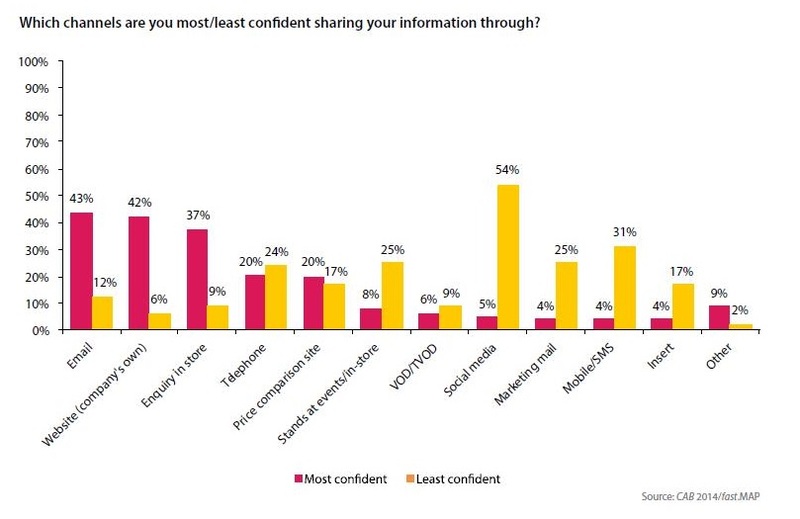 And on the topic of social, it doesn’t surprise us too much that social media, despite its hype and adoption, is not yet a trusted channel for consumers. Marketers also noted that while they could achieve decent lead volume through this route, the conversion ratio is still sorely lacking. 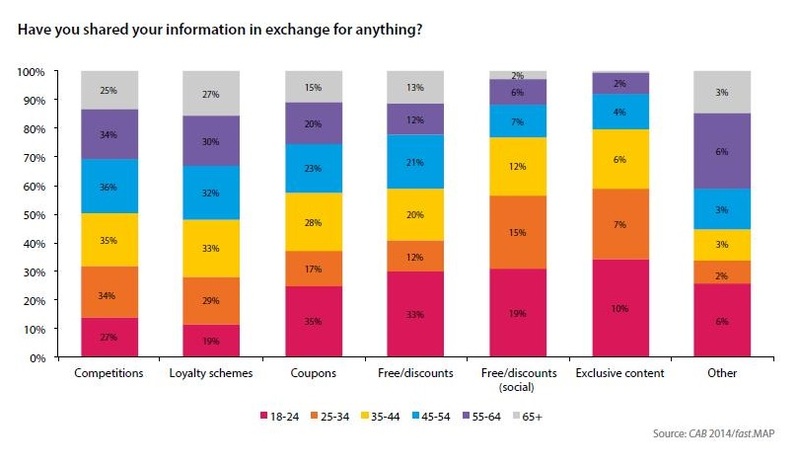 Looking at the reasons why consumers provide data to lead generation campaigns, the perception of a value exchange is still strong and as the report states, requires permission, reward and control to feel worthy to consumers. Competitions, such as those run via Magnetise Media's TopFox white label platform, are a fantastic way to incentivise and reward consumers for engaging with brands while more direct discounts or coupons are also widely used across the market as you can see in the image below. While these types of incentives are integral to lead generation, the sustainability and ultimate value of such tactics is not always in a brand’s favour. Consideration should also be given to the lead pricing strategy – after all, as Michelle de Souza said at the event, “lead generation is key for awareness” and setting an appropriate pricing structure will ensure publishers get your campaign, and your brand, in front of as many relevant eyeballs as possible. KPIs and metrics was another interesting area of the report. With marketers still looking to align activities closer to the sales department, something we have been talking about for some time now, the creation, management and optimisation of KPIs needs to be more manageable and more closely linked to the brand’s bottom line. While CPA is still an obvious focus, quality and quantity of lead also matter, especially when you consider 58% of marketers surveyed handle customer acquisition in-house. To sum it up in 3 simple words, successful lead generation and customer acquisition in 2014 are going to require trust, consent & transparency. To find out how we can help you deliver on your customer acquisition, retention and even acqui-tention goals, get in touch here or give us a call on 020 7100 0323.